Visiting wineries in Croatia will ratchet up your wine knowledge to another level as wine making in Croatia is with different grape varietals than those varietals used in wine making in France or California. 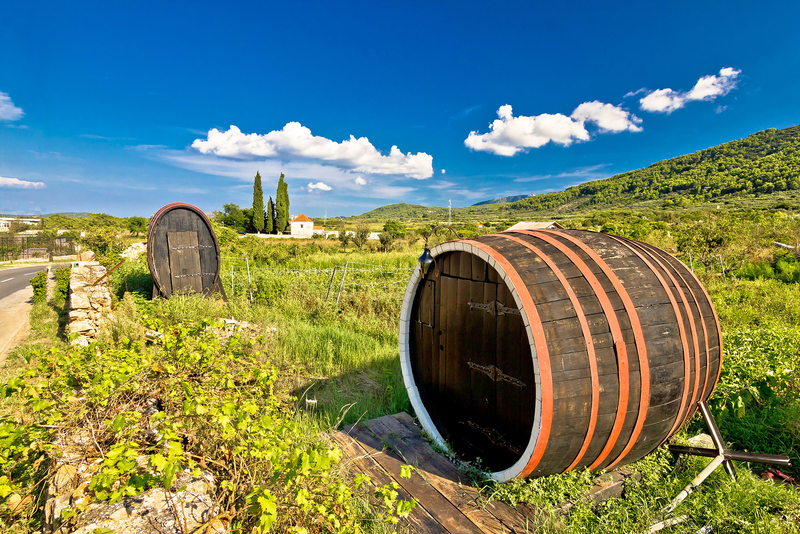 In Croatia, be prepared to hear grape names such as Plavac Mali, Pošip, Teran and Malvasia, rather than Merlot, Cabernet, Pinot Noir and Sauvignon Blanc. 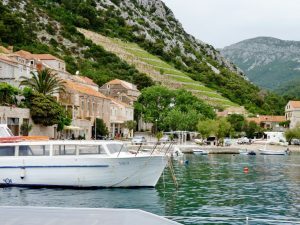 To taste wines and learn about wine grapes grown in Croatia on a yacht charter in southern Dalmatia, visit these three wineries on the Peljesac Peninsula just across from Korcula Island. And don’t worry, your Captain will make all arrangements for reservations at each winery, including private transport if needed, and will provide you in advance any menu choices, and costs for your final decision. You need only relax and enjoy each wine tasting experience, one after another, at each winery. only wines from grapes grown in Dingac can bear the name Dingac, and only wines from grapes grown in Postup can bear the name Postup, both prestigious names for wines made from grapes grown in these locations, that are valued for excellence. Some of the vineyards within these appellation designated areas are on land that is so steep that workers harvesting the grapes must be harnessed and lowered by ropes to gather the grapes for the vineyards to use every inch of land in these two grape growing locations prized for their natural growing conditions. Vintners at wineries in this area tend to produce wines using one specific red grape varietal and one specific white grape varietal without blending varietals. 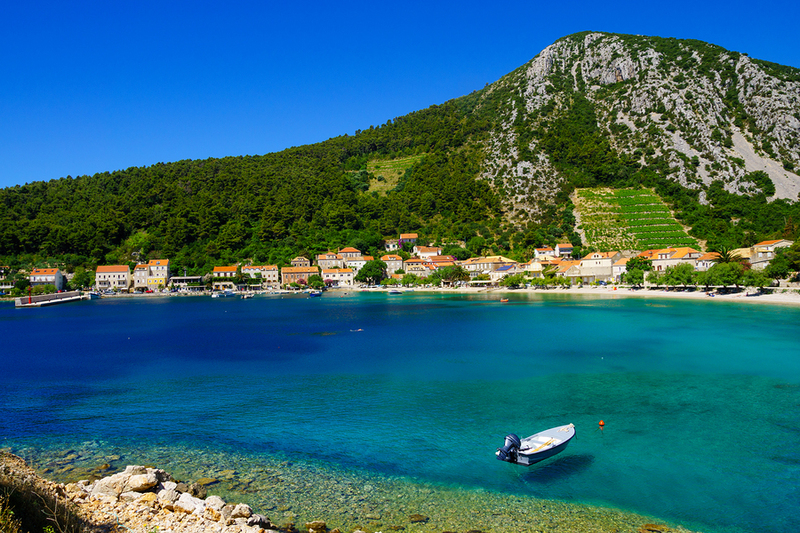 Saints Hills Winery: Available by van after docking or anchoring in Orebic. With vineyards in Dingač, this winery produces a wine called Dingač from their SV Lucia Vineyard in Dingač. Other wines to taste include Nevina, with grapes grown in their vineyard near Istria, another great wine grape growing area, and SV. Roka from their SV. Roka Vineyard at the base of the Peljesac Peninsula. Saints Hills Winery offers a Vintner Tour to see the winemaking process, and at a cost, several different choices of wine tastings paired with the perfect food tidbits for each wine or multi-course lunches or dinners with each course of food chosen to showcase a wine. A menu is available from which to choose a wine and food pairing experience in advance to enjoy Saints Hills Winery wines. Reservations required. o Basic Tour: 1 hour in length, tour of the winery, plus tastings of KK Pošip, KK Rosé and KK Plavac Mali wines. o VIP Tour: 2 hours in length, tour of the winery plus tastings of KK Pošip, KK Rosé, KK Plavac Mali and KK Reuben’s Private Reserve wines paired with some tidbits of local delicacies designed to match with each wine being tasted. o Gastro Wine Tasting: 3 hours in length, tour of the winery plus Five course lunch of specialty designed local foods, with KK Pošip, KK Rosé and KK Plavac Mali, KK Reuben’s Private Reserve and KK Sabion (sparkling wine) wines. Reservations required at least 2 days in advance for this tour. Grgic Hills: Founded by native Croatian Miljenko “Mike” Grgic with his daughter Violet Grgic, after founding successful Grigich Hills Estate Winery in Napa Valley, California. The “h” is added to the end of the family name for the winery name in Napa Valley for pronunciation purposes, to compensate for the soft Croatian “c”. In his own country, Mike Grgic, has named this winery Grgic Winery. Wine is in Mike’s blood, and his story follows the long history in Croatia of making wine. Mike was born1923 into a Croatian Family on the Dalmatian Coast of Croatia that owned a small winery and vineyard. Every year, just as his grandfather and great grandfather before, his father made wine. Miljenko, just as every Grgic child before, was weaned from his mother to a home-made mixture of water and family made red wine. Mike recalls he was first initiated into grape stomping at the age of three. This winery produces two wines from two different grape varietals: Plavac Mali grapes grown in Dingac, for a red wine bearing the prestigious Dingac Appellation, and Posip grapes grown on nearby Korcula Island for a white wine. When in Napa Valley, Mike Grgich noticed a remarkable resemblance between the Zinfandel grape and Plavac Mali grape native to Croatia. Working with Scientists at the University of California, Mike believes there is now proof that the Zinfandel grape is Crljenak Kaštelanski, a grape native to Croatia and parent of the Plavac Mali grape. The family prefers to produce only two wines and place their energy into creating the best red wine and best white wine possible. Therefore, there are only two wines to sample, but the wines being sampled are being produced by an international award-winning Vintner, Mike Grgic. Visiting the winery is simple, no reservations are necessary, and the charge for tasting the two wines is minimal. 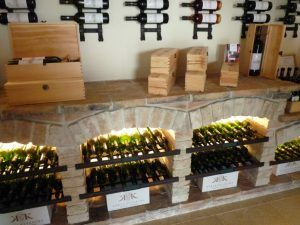 Tastings occur in the Tasting Room where wines can also be purchased. There may or may not be a short Vintner’s tour, depending on how busy the staff at the winery might be. Wines may also be enjoyed on the terrace, as the setting of the winery is spectacular. 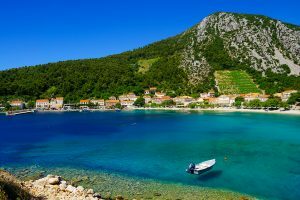 The building is on Trstenik Beach on Trstenik Bay at the beginning of the Peljesac Peninsula. With the sparkling bay in front of the winery, and olive trees, wild herbs, and vineyards in the surrounding landscape, this is a fabulous visual and olfactory experience. As a bonus, close by is Ston and Mali Ston, where shellfish farms exist in abundance in the coastal waters. The opportunity to sample fresh oysters and mussels just plucked from the sea is around every corner. 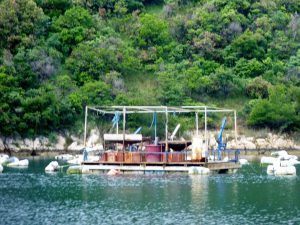 The waters in Ston Bay are perfect for growing very tasty oysters and mussels, as the Karstic Springs empty into the bay, providing an abundance of phytoplankton, and minerals. The oysters farmed are the European flat oysters called Kamenice. The mussels farmed are called Dagnji. 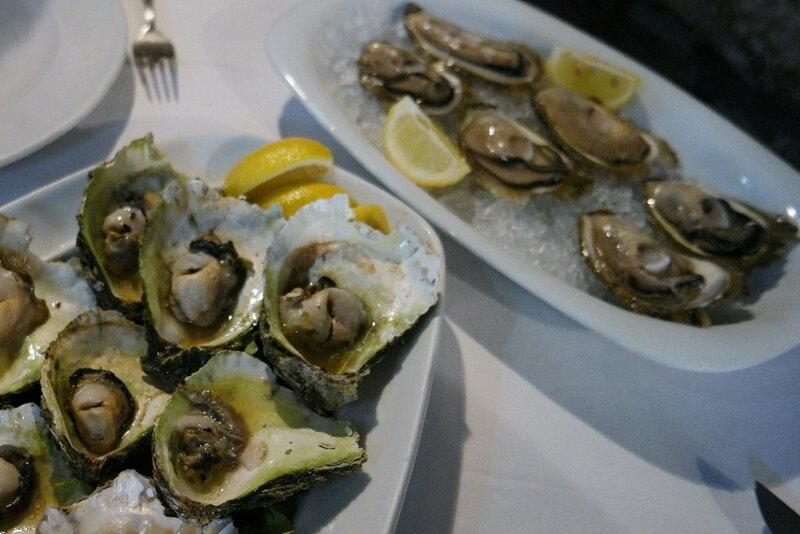 However, no matter the type of oyster, it is the water in which the oysters are farmed that provide the specific fabulous taste to Ston and Mali Ston oysters. It is a great combination: Award winning wines with very fresh oyster, raw, grilled or done any way you wish, all available on a private yacht charter in southern Croatia.